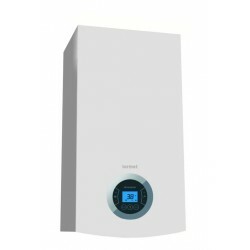 WINDSOR gas condensing boilers are economical and modern heating devices with a high operating level They enable efficient and reliable use of condensation technology during gas combustion. WINDSOR boilers can interact with solar power systems, support the operation of heat pumps, and also operate in cascade systems. Thanks to the use of components of the highest quality and modern technology, these devices are durable, reliable, and safe.